Good architectural wayfinding allows individuals to navigate built environments with ease and confidence. 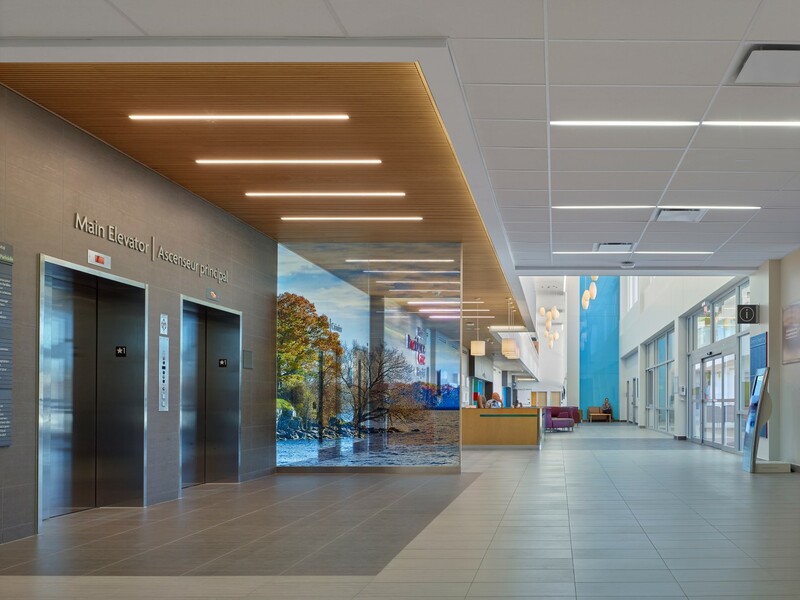 Within complex environments, such as healthcare, educational campuses, and transportation facilities, wayfinding enhances one’s understanding of the physical environment, reduces stress and confusion, increases safety, and saves time for both visitors and employees. Effective wayfinding goes beyond signs and graphics; it includes architectural and interior design elements and cues, to guide visitors to their destinations and back again. To accomplish this, wayfinding must be considered early in the concept design stages and be embedded in the design of the facility. 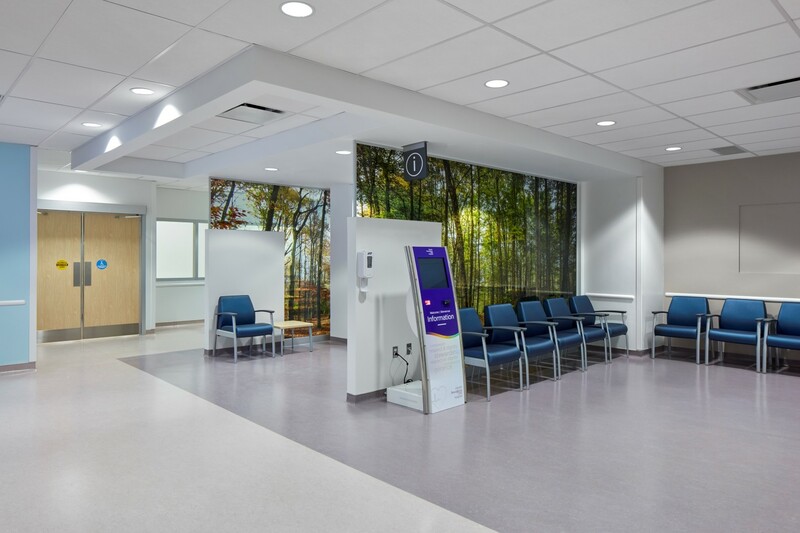 This ensures that the appropriate foundations are in place to further enhance and support wayfinding tools and aids used to help users intuitively navigate the environment, and ensures equity of access throughout the facility. A good wayfinding system is a coordinated group of aids to augment one’s understanding and experience of the physical space, to minimize the amount of time, attention and energy needed for individuals to find their way, and to minimize stress and confusion for all visitors. 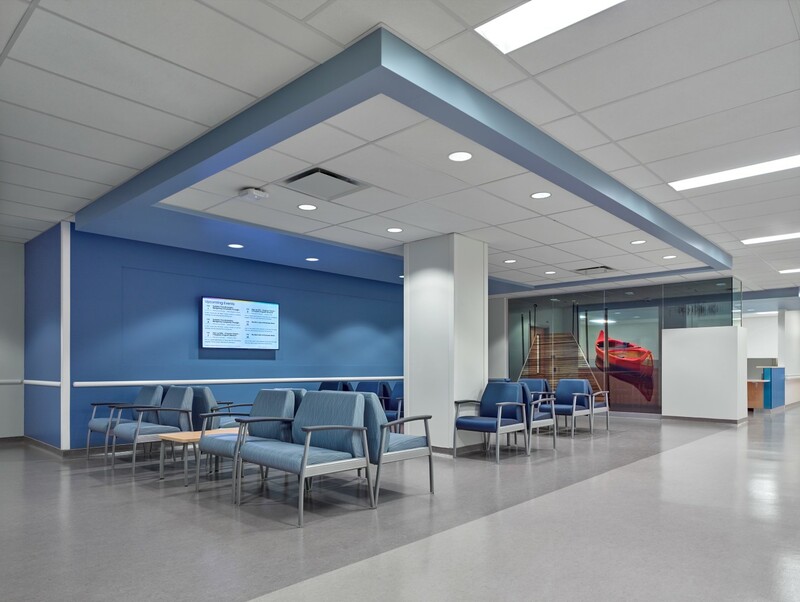 It may include the use of architecture, landscaping, interior design, signs, lighting, art, digital displays, and/or printed material to communicate information effectively, and make movement through the facility highly intuitive. Clearly marked, visible, and centrally located exterior and interior signage, to guide visitors to their desired location. Multi-format wayfinding, including text, raised letter, braille, universal symbols, colour and pattern, to guide visitors of all abilities. Signage designed to guide patients to specific destinations and back to their entry point (main entrance or parking) with progressional and consistent messaging. Staff and back-of-house signage minimized, to reduce visual clutter and confusion. Zones or areas characterized by a particular feature or function are given a unique identity. Defining floor levels based on colour, graphics and floor numbers, to convey information to all users, and reduce stress. Well-structured paths with limited navigation options, to reduce stress. Landmarks with architectural significant elements and signage located at key decision points, to support independent wayfinding, without having to solely rely on signage. Graphics based on biophilic (nature inspired) designs in both the interior design and signage at key decision points, for clear, seamless navigation that does not overwhelm the user. Graphics, symbols and/ or colours that relate to the building, site and/or the client philosophy, in both the interior design and at key decision points, for clear, seamless navigation that allows for levels of understanding.